"I do think you can have a book published!" After reading my handwriting notebook. 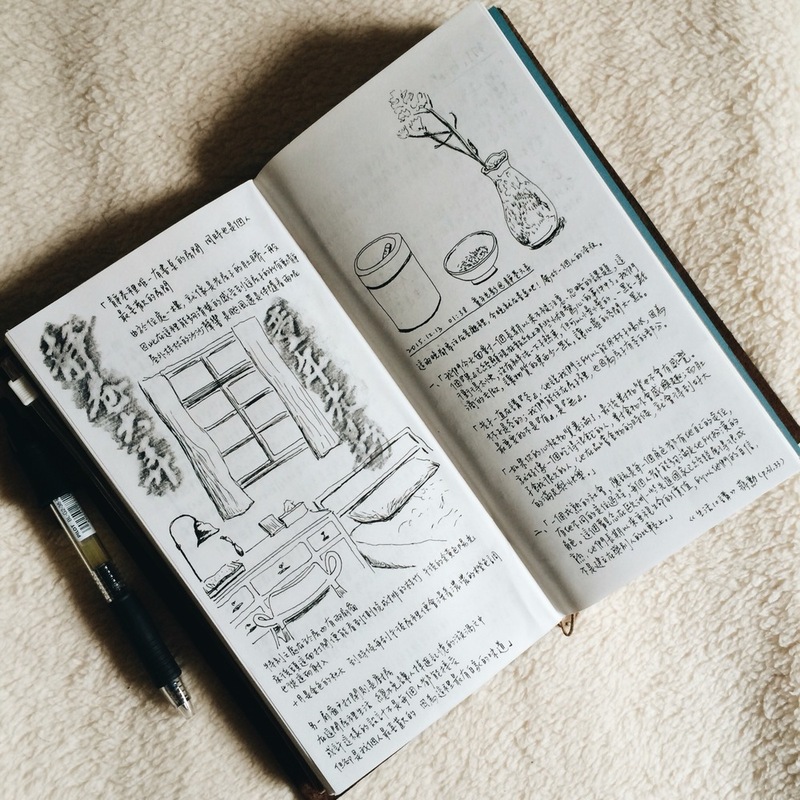 I used to think I should have my notebook as beautiful as others I saw in terms of words and drawings, but now I realize that having a notebook is more than aesthetic meaning, or, it doesn't carry a standard! Requiring myself to have a "perfect" notebook with tidy (and even polished) layout can result in hesitating to write something on it. As you are not willing to write, you will finally get nothing. In this case, "done is better than perfect" as said in a book Essentialism can be a solution for one to feel relax in recording memories, writing and drawing, as well as collecting something like tickets and leaflets in daily life. Don't mind the layout is not good as expected. Whatever paper or digital (like Evernote), a notebook is a tool for connecting one's past, present and future. You can write about your feeling of the present moment and review later. Nothing is better than writing that since a human is always weak in remembering self by reconstructing past. A notebook thus can be a reminder not only in todos every day, but also what you thought and felt in a moment. Connecting your future can be explained by, say when you write down some places you haven't been to this time for next visit. This is the best way of planning and a plan should not be made when you sit down and begin thinking every December. Having a habit of writing notebooks started when I knew what "urban sketching" was. In 2012, I visited an independent bookstores in Singapore before going to Australia for my working holiday. I noticed a book called We Love Toa Payoh which is an urban sketchbook by locals. Through drawing like them and using Evernote and even Google Keep, I realize why I should need to draw and write, and why I love to.